This was a (Class 3 | Cat 1) residential water loss. The source of the water loss was a failed supply line associated with the upstairs toilet. The water ran down the north wall soaking the ceiling drywall and the associated R19 insulation in the flooring joists. The Southern California property was built in 1982 and therefore required testing prior to demolition. The initial asbestos bulk sample PLM (Polarized Light Microscopy) survey came back “hot” for chrysotile (serpentine) asbestos well in excess of 1% (AKA Trace). In an effort to validate the findings of the PLM survey, the lab followed it up with a Point Count analysis that subsequently confirmed the initial PLM findings. 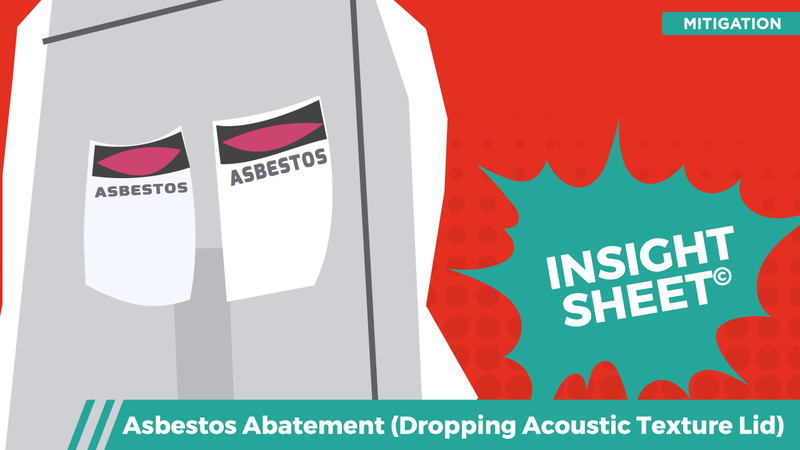 This Insight Sheet exists to clarify how one might invoice for dropping an acoustic texture lid as a part of asbestos abatement. This does not seek to include or make concessions for all equipment and/or activities as it relates to a loss of this nature. 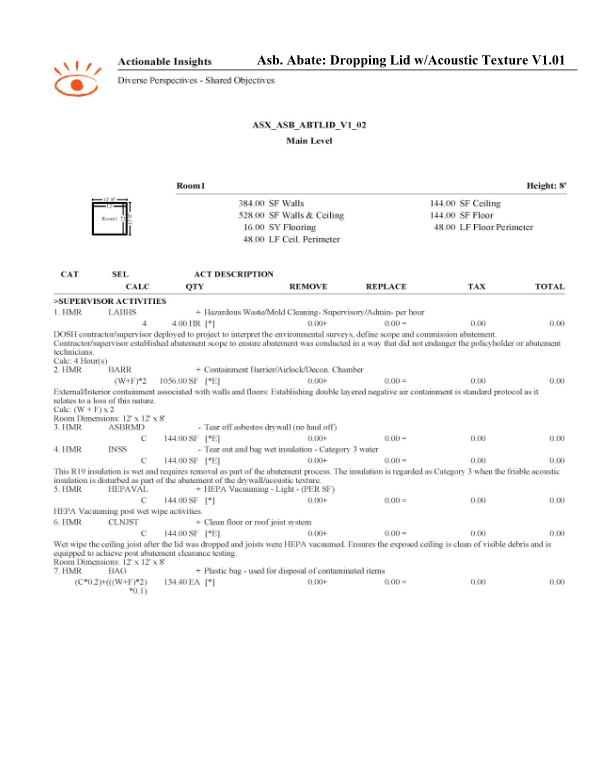 PPEs, PCM/TEM cassettes, and environmental surveys (including testing for other contaminants (e.g., lead)) reside beyond the scope of this Insight Sheet.